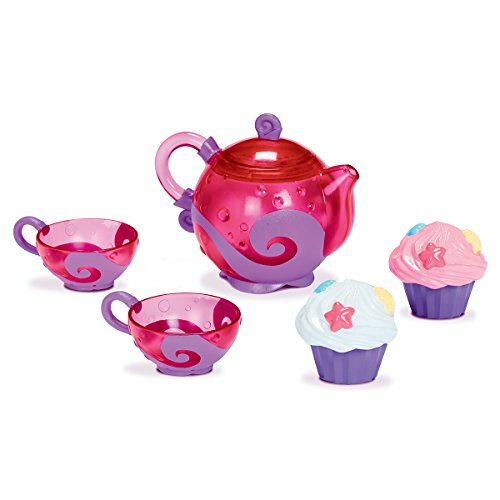 For more than 25 years Munchkin has worked to transform mundane products into clever solutions for any parenting dilemma Munchkin knows it s the little things in a parent s life that often make the biggest difference Perfect for tea parties in and out of the bath the Munchkin Bath Tea and Cupcake Set includes a teapot 2 strainer teacups and 2 cupcake squirts Fill pour strain and squirt for hours of bath time fun The tea pot is easy for little hands to grasp 2 teacups strain for added fun 2 cup cakes squirt water Suitable for your child to use from 24 months of agePerfect for tea parties in and out of the bath! School's Out For Summer, Now What? Download Nickelodeon Play and try it for free now!